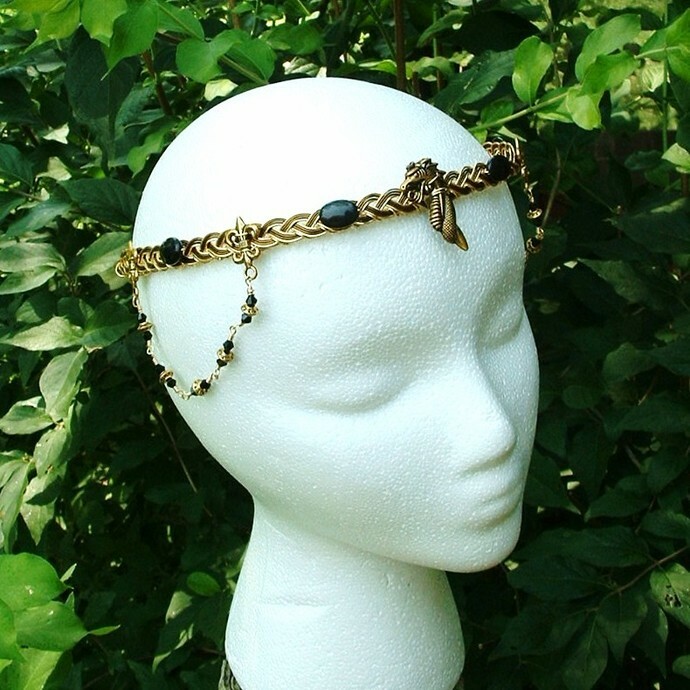 A Celtic dragon adorns this gold and onyx unisex dress Circlet~ inspired by the Dragonriders of pern. For those familiar with the books, this piece was based on the character of Flar, Weyrleader, rider of the bronze dragon, Mnemeth, both heroes of Pern. 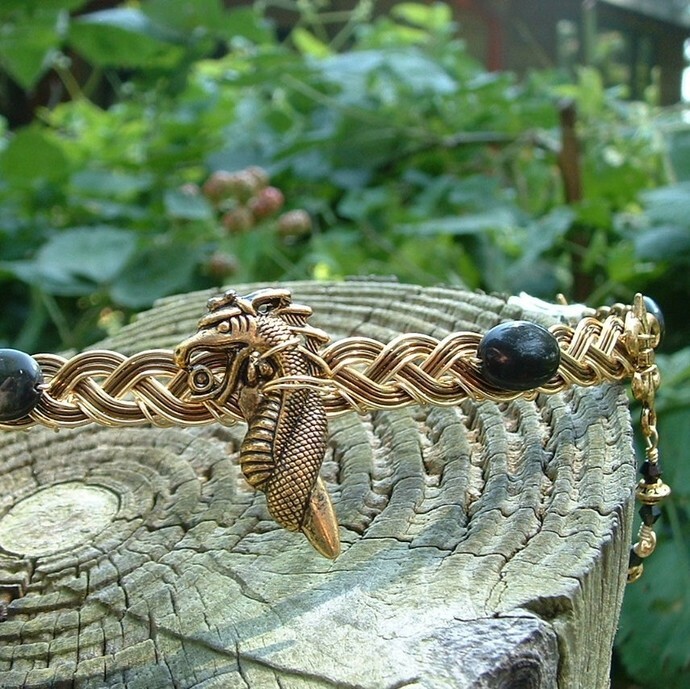 There is a central dragon figure, flanked by six oval onyx pieces, based on a four x three Celtic wire weave. 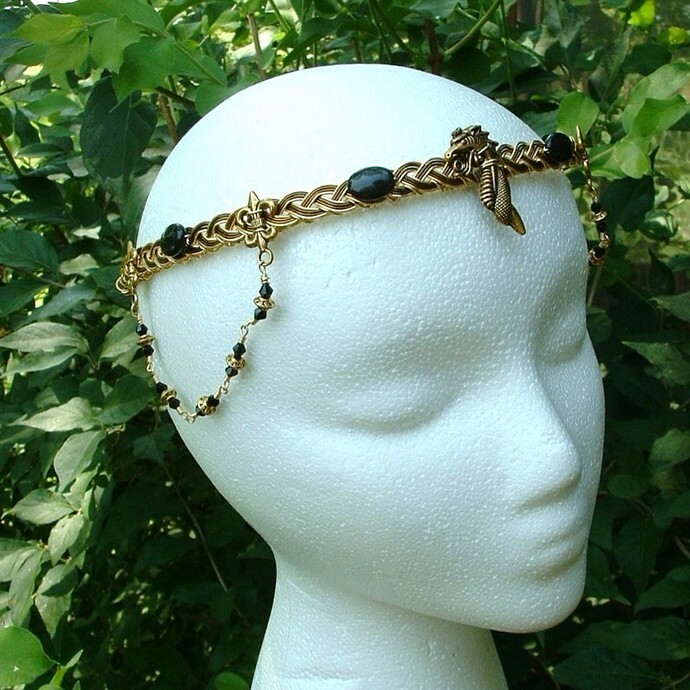 The non tarnish gold wire Celtic braid, with a central black strand emphasizes the deep colour of the gemstones. 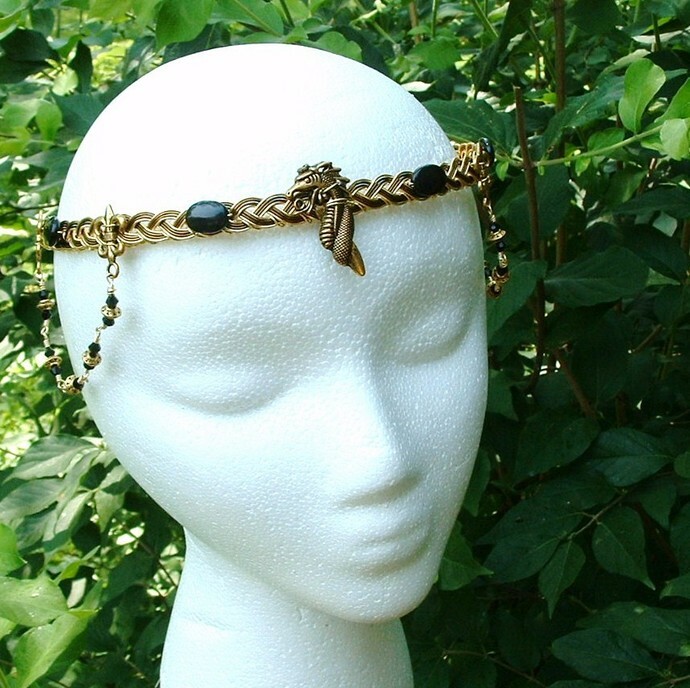 The circlet can be worn by either men or women (both sexes rode dragons you know). The back of this piece is open, and can be worn as is, with pins, or tied together with ribbon or leather ties at the back.